For scheduled orthopedic or neurological procedures such as hip, knee, shoulder, or spinal surgeries, there is an easy way to set up your rehabilitation needs ahead of time. Pre-admitting allows you to tour, ask all of your questions, and even complete your paperwork in advance. Let us know when you are having your procedure and we will have a private room reserved for you. 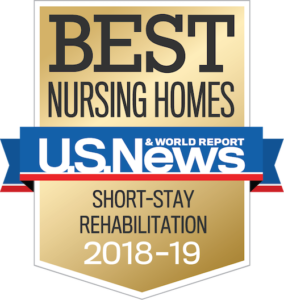 For those whose rehab needs are identified in a hospital setting, the team at the Lutheran Home can work directly with the hospital discharge planning specialists to ensure a smooth transition from the hospital to rehab. Our Client Relations/Admissions coordinators work with all the major hospital systems to coordinate your care needs before you arrive. Call our Client Relations/Admissions team at (414) 326-3398 to pre-register, tour, and to have your questions answered.